Keegan Hankes is a senior research analyst with The Southern Poverty Law Center. The center just release a new report called “Whose Heritage?” identifying that nationwide there are still more than 1,700 publicly supported monuments and other tributes to the Confederacy. 65 of them still remain in Florida. Hankes joined Sundial to talk about the study’s key findings in South Florida. Peter Min is the Villain Theater co-founder. Josh Hamilton is an improve performer and part of a group called YAAAS at the theater community. Drag Queen Miss Toto is a Drag Queen and will be performing at the theatre on Sunday. 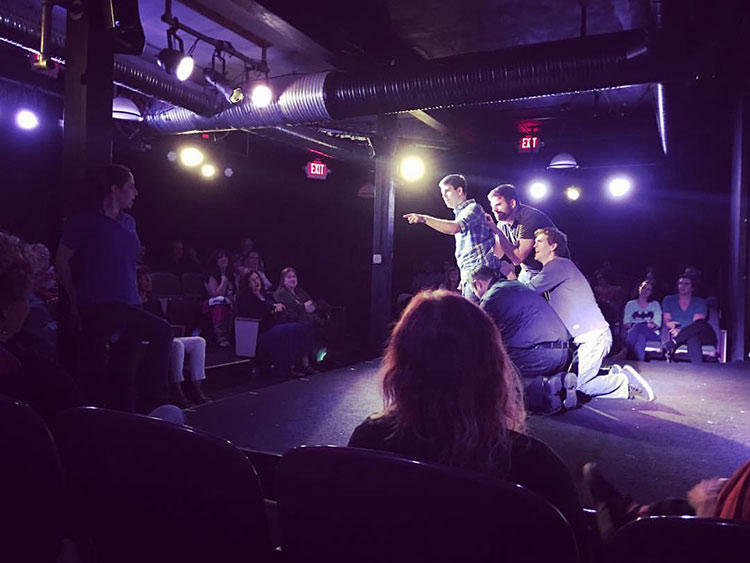 The YAAAS LGBTQ improv team is part of the Villain Theater and two years ago, the troup started a ‘No Fear, We’re Queer’ comedy night in response to the Pulse Night Club shooting. Min, Hamilton and Miss Toto joined Sundial to talk about the event’s improv and drag show performances.